Hi..I live in Las Vegas..great city if you stay off the strip!! LOL! I've been married for 40 yrs in Dec/2018. I have 2 children and 6 grandchildren, ranging in age from almost 3 to 22 yrs old. I love my family, scrapbooking, reading, gardening, the internet, cooking and my job...in that order. I am a Business Services Administrator for a landscape supply company...(fancy name my boss calls me to say I am in charge of everything). I love all types of music, mostly rock from 60's to present day, alot of country lately..love Little Big Town and Band Perry, classical and Christmas..any version of Carol of the Bells is awesome! My son burned me a cd with over 20 different versions on it. 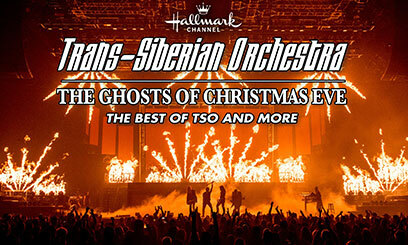 I've seen Trans-Siberian Orchestra 3 times now and they are beyond awesome!! Had to travel to Phoenix last year as they didn't bring their show to Las Vegas...SO worth it!! I love to read! I read cookbooks for fun, scrapbook magazines. Don't really have a favorite author..but I enjoy romance, mystery and comedy books. I even still read childrens books...think Nancy Drew and Boxcar Children when the mood hits me! I have a Kindle but still prefer a real paper book over the digital and I really can't get into books on CD having someone read to me!! I like happy movies...Very favorite is Wizard of Oz, The Long, Long Trailer w/Lucille Ball and Desi Arnaz...(a relatively unknown but VERY cute movie if you Love Lucy!!) I can watch Disney classic cartoons over and over even though the kids have outgrown them now....thank goodness for the Grandkids...the family can quit groaning when they have to see me watching Cinderella for the 50th time. Got rid of cable due to ridiculously high cost and just have Netflix now. Don't really have a favorite anything anymore...just watch whatever strikes my fancy when I'm in a television mood! I enjoy scrapbooking, altered art, ATC, trying new recipes (thanx to Pinterest! ),,,Speaking of Pinterest..can that be considered a craft? ?..I have some awesome boards that I love to look at when I need a happy boost!! I could..and sometimes do spend hours pinning!! I love playing with the Prima Doll stamps and have recently discovered Pocket Letters...what a simple, fun concept...can't believe no one came up with that sooner!!! I made an altered puzzle for a swap here and that was a blast..want to do another one for myself soon!! pigs..they are just too cute!!.. and scrapbooking supplies..of all kinds! My husband swears I could open my own store at this point...he's probably right!! I also have found a new interest in dress forms since he came across two metal sculptured ones that are awesome!! I started this category and then realized I don't really have dislikes except for pine and eucalyptus scented stuff!! Everything else you can find a use for!! Comment: Great notecards! I enjoyed your letter too! Thank you for making my day and thanks for the notecards too! Comment: Thank you for the postcard and checking out my Facebook page! I'll have to check out your page as well. Comment: Hi Laura, Thanks for the altered puzzle piece, cute idea to use a chain to connect them. Thanks also for the paper samples and napkins for decoupage. I love the butterfly one and the one with flowers. Looking forward to using those. Happy Spring! Comment: Thank you for this great PC. I haven't started OA yet. I will this week. Thanks for the recommendation. Comment: Thank you for the great postcard from Las Vegas. Comment: GREAT card! A classic in B Movie history. Thanks for being so thoughtful. Comment: hi!! thanks for the lovely botanical postcard!! And the handwritten note was so nice, it’s so cool that we have some favorites in common! Thanks so much again!! Comment: Hi Laura, Yes this was a fun challenging swap. You did great and made an awesome ATC for me, thanks so much!! Thanks for writing on a cat in the hat note card, I love it. Thanks again. Comment: Thank you for the beautiful postcard from Red Rock Canyon. We were there once and it is beautiful there. I also like the Red Rock Casino. Comment: Love what you created! Thank you!! Comment: Thank you of the KS card!! I can imagine it's so different than the desert! Comment: Great variety, Thank you very much! Comment: amazing postcard- thanks so much! Comment: I love the postcards thank you. I have you as a partner for one of my swaps again and if I didn't say it before, I am so in love with Lucille Ball that I Love Lucy was my entire bedroom theme as a teenager and I also JUST ordered The Long, Long Trailer DVD for my Mom for Christmas! !